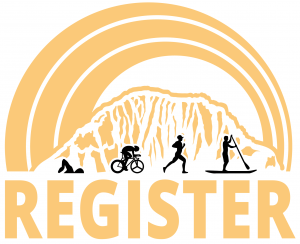 The Morro Bay Triathlon does not accept responsibility for refunds or cancellations in the event of natural or national emergencies or changes in governmental policies affecting the event course. Natural emergencies may include, but are not limited to severe weather including heavy rain, flooding, heat spells and cold spells. National or international emergencies may include, but are not limited to military conflicts, terrorist attacks, security threats, war, and heightened security alerts. In such event, there would be no refund to participants nor any reimbursement for event related expenses incurred by participants. If you have a credit, it does not guarantee your entry into a race. You must still register prior to the event being sold out as all registrations are on a first come first served basis. These credits expire one year from issuing event. Entry fees or event participation is not transferable to another person as this is considered fraud by USAT. If you sell or give your race slot away, both you and the person using the race slot are subject to a 2 year suspension from racing at any USAT or All Out Events race. I hereby grant permission to All Out Events., and its officers, trustees, employees, agents, representatives, successors, licensees and assigns (hereinafter “All Out Events”) to photograph my image, likeness, or depiction and/or that of my minor children (if applicable). I hereby grant permission to All Out Events to edit, crop, or retouch such photographs, and waive any right to inspect the final photographs. I hereby consent to and permit photographs of me and/or those of my minor children to be used by All Out Events worldwide for any purpose, including educational and advertisement purposes, and in any medium, including print and electronic. I understand that All Out Events may use such photographs with or without associating names thereto. I further waive any claim for compensation of any kind for All Out Events’ use or publication of photographs of me and/or those of my minor children (if applicable). © Morro Bay Tri - California Fall Triathlon Olympic + Spring + Paddle / SUP 2019. Intuition theme by CPOThemes.